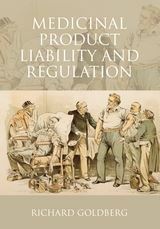 The piecemeal developments in product liability reform in Europe have their origins in the tragic association of phocomelia in children with thalidomide in 1962. In many ways these events have continued to generate pressure for reform of product liability, especially for the victims of drug-induced injury. This monograph attempts to address the major problems that typify claims for drug-induced injury, as well as highlighting the complex interrelationship between liability exposure and drug regulation. While medicinal products are subject to strict liability under the product liability directive, the claimant may have considerable difficulty in establishing that the relevant product is defective and that it caused the damage. It may also be necessary to overcome the development risk defence where this is pleaded. The monograph addresses these problems on a comparative jurisprudential basis, and seeks to determine whether medicinal products should be treated as a special case in the field of product liability. 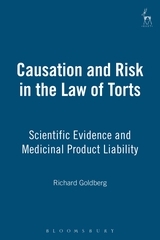 It examines the role of epidemiological evidence in assessing causation in product liability cases concerning medicinal products in the light of recent developments in the UK Supreme Court, the United States, Canada and France. 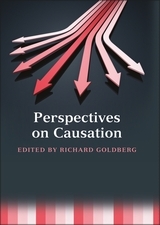 In particular, it addresses the difficulties in reconciling the standards of proof in law and science, including the theory that causation can be proved on the balance of probabilities by reference to the doubling of risk of injury. An important case study compares and contrasts the approaches of the UK and the US to the measles, mumps, rubella Litigation. The book also examines the question as to whether compliance with regulatory standards should protect pharmaceutical manufacturers from product liability suits. It seeks to support a via media whereby the victims of drug induced injury can receive justice, while at the same time encouraging drug safety and innovation in drug development. Richard Goldberg is Professor of Law at Durham University.